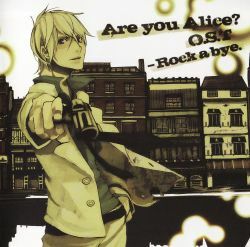 Are you Alice? O.S.T - Rock a bye. / Are you Alice? O.S.T - Rock a bye. / Are you Alice? O.S.T - Rock a bye. Are you Alice? O.S.T - Rock a bye. BGM Productions: ZIZZ STUDIO, Alphonte music Inc.